This tutorial describes step-by-step how you can work with Similarity in the fastest and the most effective way. The most advanced and powerful function of Similarity is its search of duplicate music and image files, so it is this function that we focus on in this article. 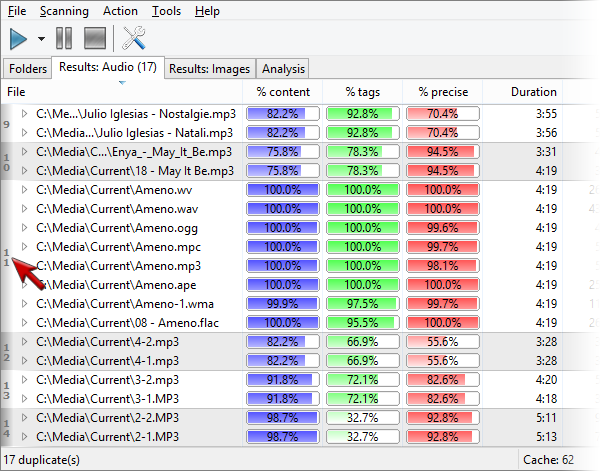 Notice, we do not review all and every function of the program, including the advanced audio analysis, tag editor, etc. To learn more about these functions, please refer to the FAQ, help system or other articles at our website. This tutorial consists of 3 sections. The first section uses the default settings and doesn’t need additional configuration (suits for small collections with no more than 10,000 files). 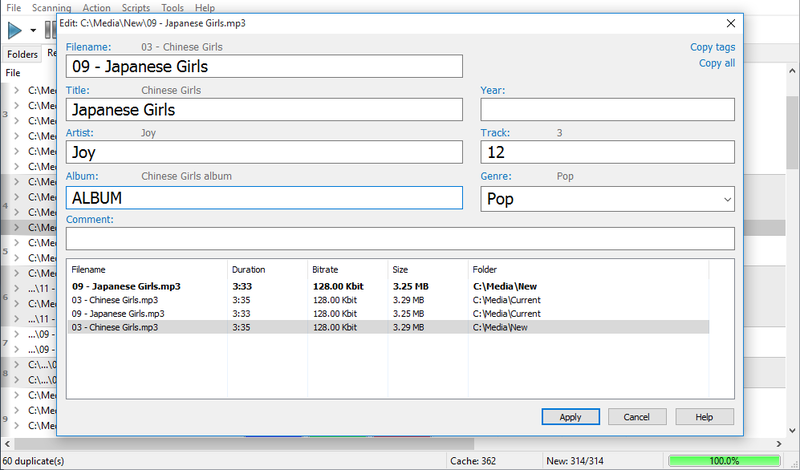 The second section is intended for the case when you want to compare your collection with a number of files you potentially would include to it. This may require adjusting program’s settings. The third section is for large and extra large collections (over than 30,000 files) that requires precision adjustments and understanding of some specifics. 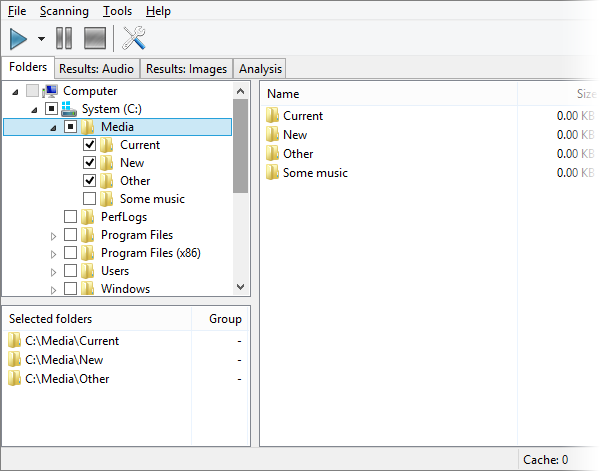 Now in the left panel with a folder tree find your folders with music, images and select them with check marks. Now the tricky part. Find the "Play" button on the toolbar and click it. Once the scan finishes, switch to the "Results" tab. A number in parenthesis near the tab name is the amount of duplicate groups. 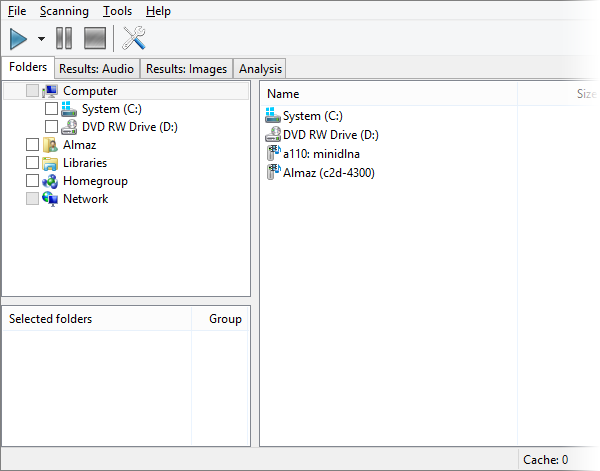 The window itself shows this groups, to learn how groups are built, please refer to this article. Let’s start working with duplicates. 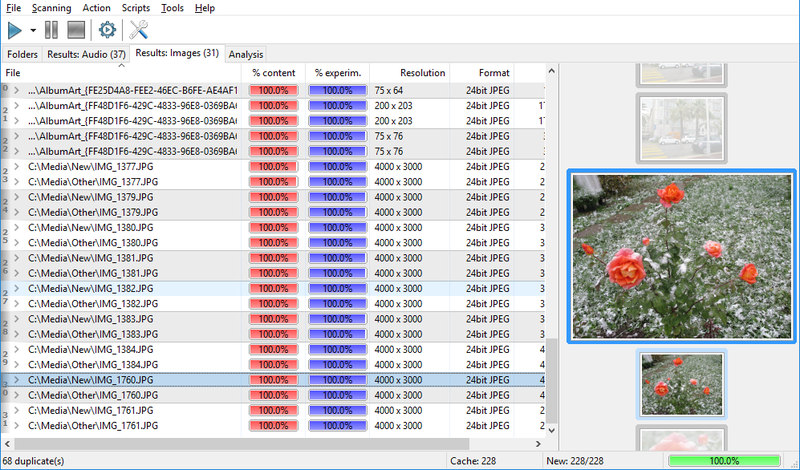 Similar files are gathered into groups of duplicates, you can distinguish the groups by color and a vertical number at the left. For easier processing, you can sort doubles by any given property, both ascending and descending. 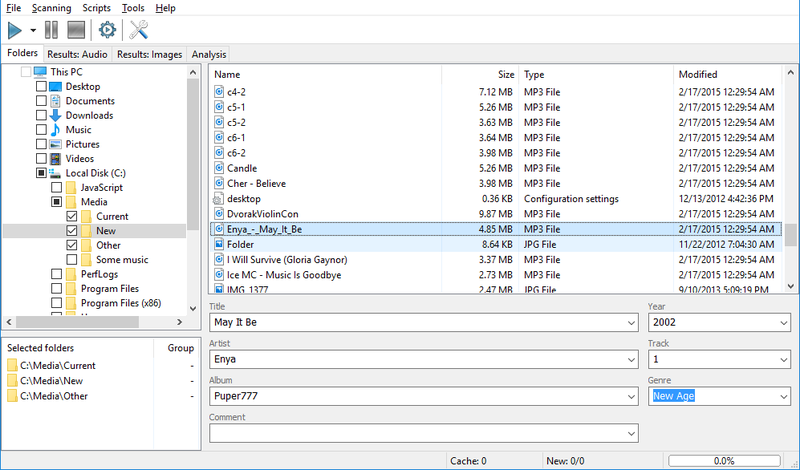 Note that sorting goes in two stages: first all files in a group are sorted, then groups themselves are sorted too based on their first files. You can read more detailed explanation of the process here. 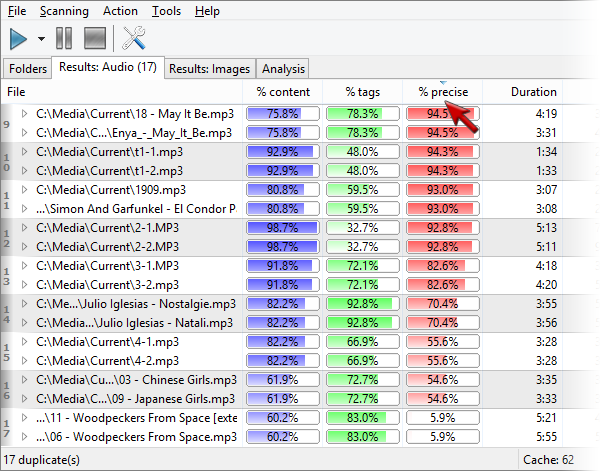 Now you can analyze the quality of files to make it easier to select best/worst files in a group. Note that this is not obligatory, so if you experience no problems finding the best composition in a group, just skip to next step, also note, quality analysis may take significant time. 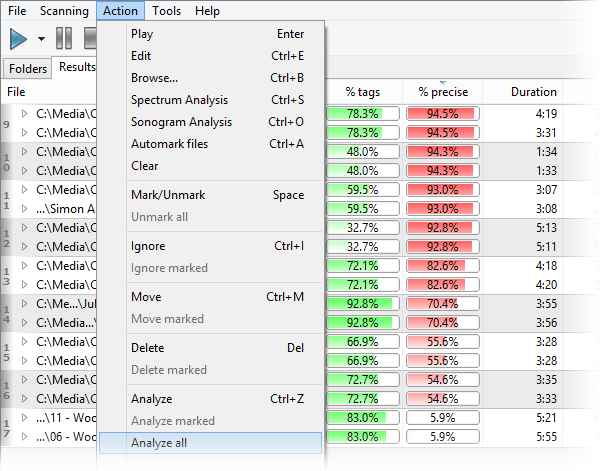 In the context menu or in the main menu click "Analyze all". 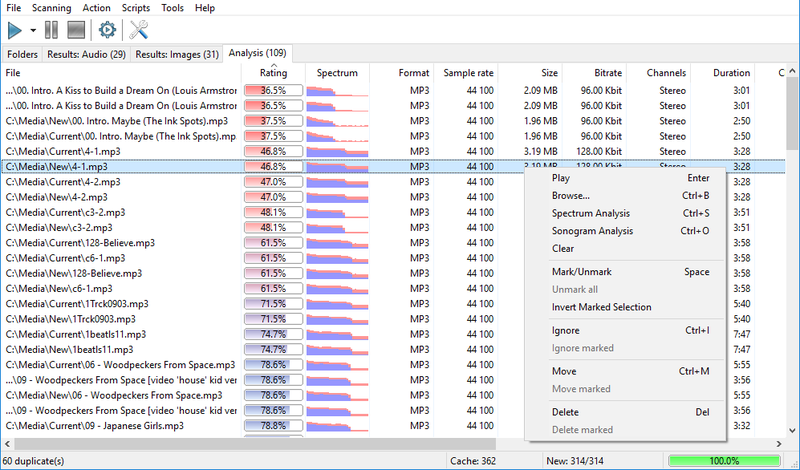 The analysis will run and will scan all files from the duplicates list. Wait for the process to finish. 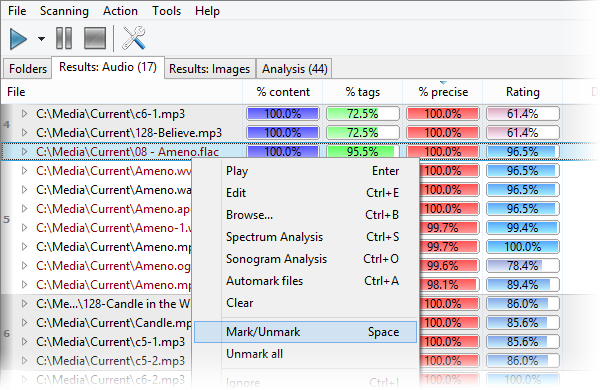 The information about files being analyzed is displayed in real-time at the ‘Analysis’ tab. If you want to learn more about these parameters, please refer to this article. 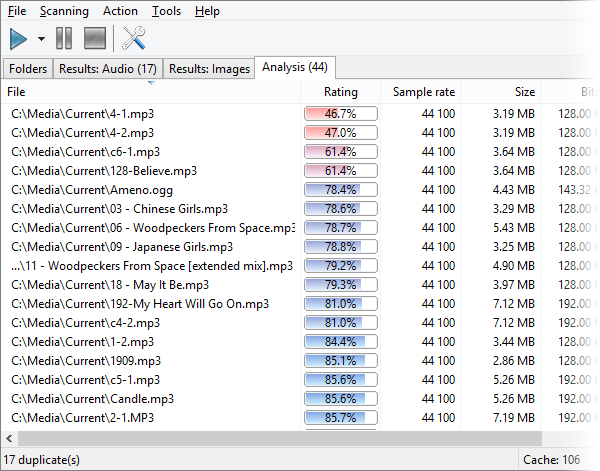 After the analysis completes, the "Rating" column is displayed. This column characterizes file’s quality. The higher the value here, the higher the quality of the file is. Further, you can use information from this column in the Auto-mark dialog (available in the Premium version only) or any time you need to make a decision. This function is only available in the Premium version. Select this function, set desired criteria for the quality of a file and threshold values (to avoid mistakenly marked similar yet not duplicate files) and click the "Mark" button, find more details here. This function doesn’t perform automatic deletion of files; it merely marks the worst files of all duplicates in a group. An action to be applied to these files is up to you. Now let’s see how this works in the manual mode. 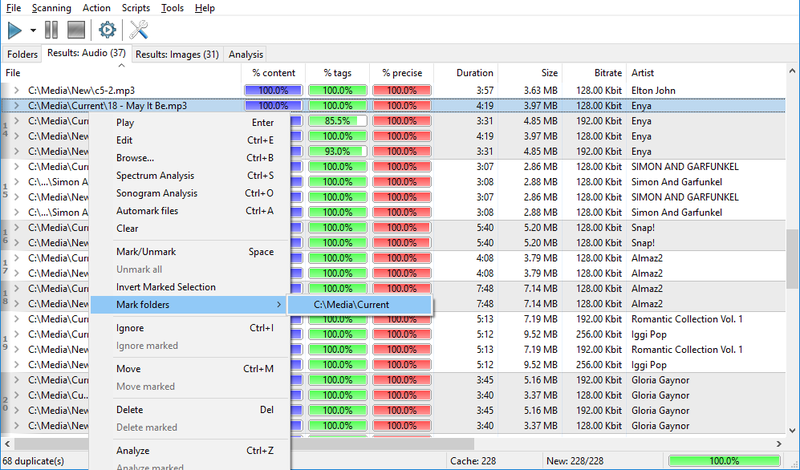 The main operations over files are performed via the right-click menu or with keyboard shortcuts. The list supports multiple selection – use Ctrl/Shift and your mouse to select several files and apply the same operation to all of them. 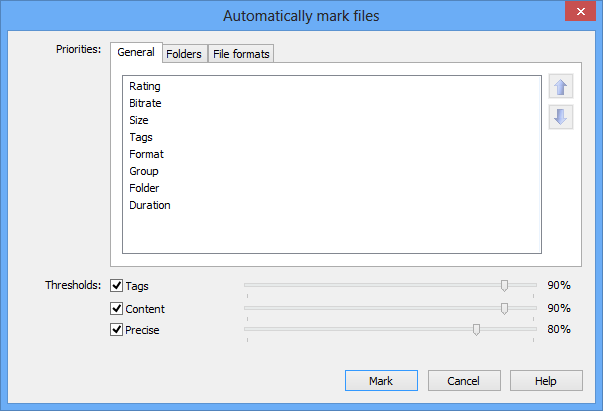 To mark a file, use the corresponding command in the right-click menu – "Mark/Unmark". We won’t explain the work with functions of the program in all details, as we suppose a user has already taken a look to the FAQ, help system. The method described below only work in the Premium version. Now let’s take a look at the case where your collection contains a big number of files, over 30,000. 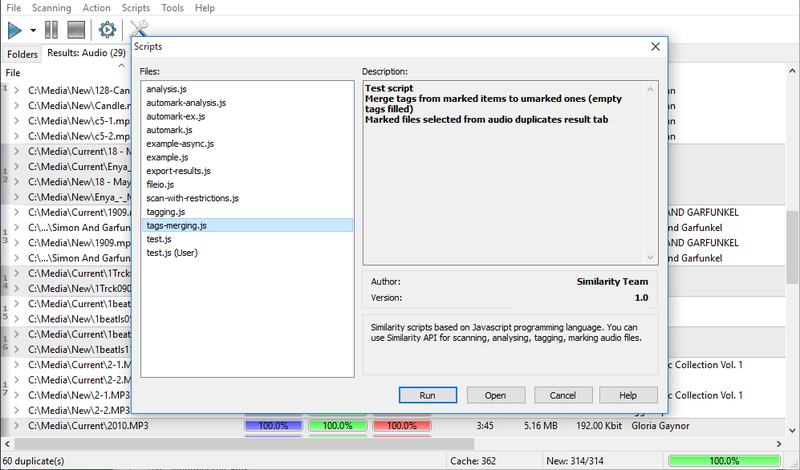 The crucial point to consider here is memory consumption, it is proportional to the number of files being compared, so we recommend to use the 64-bit version of Similarity, especially if you need to process more than 100,000 files. The method described below only work in the Premium version. Bring up the "Options" window and turn off the comparison by tags option and content option. This is necessary, because tag comparison can lead to many false positives which leads to creating and merging of groups like a snowball, which in turn makes it harder to work with the program and impairs visual acceptability. This is also true for the old content based algorithm – its precision is not enough, besides, by turning off this algorithm, memory consumption decreases almost twice, because it won’t be requiring cache anymore. The only truly efficient algorithm for such enormous amounts of files to compare is the ‘Precise’ algorithm. You will need to set its threshold to 85-95% (adjust the value if the comparison accuracy drops). 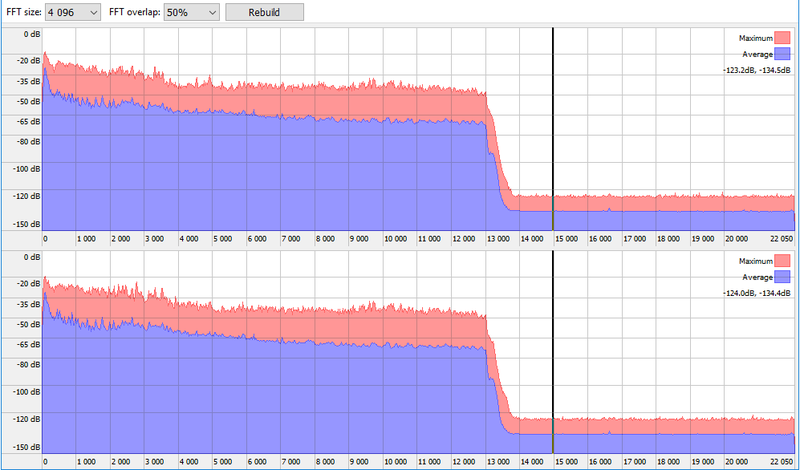 Alternatively, you can leave the other two algorithms, but increase their thresholds up to 95-100%. Select folders with your collections. 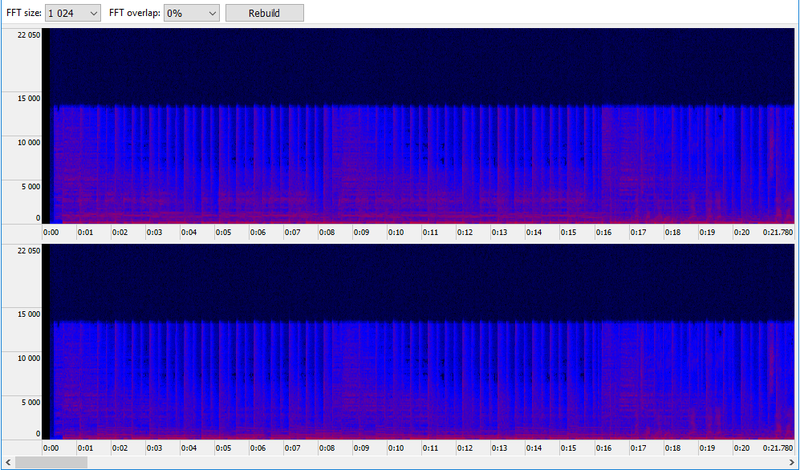 Finally, we learned to limit the scope of a scan – only files from different groups are compared with each other. 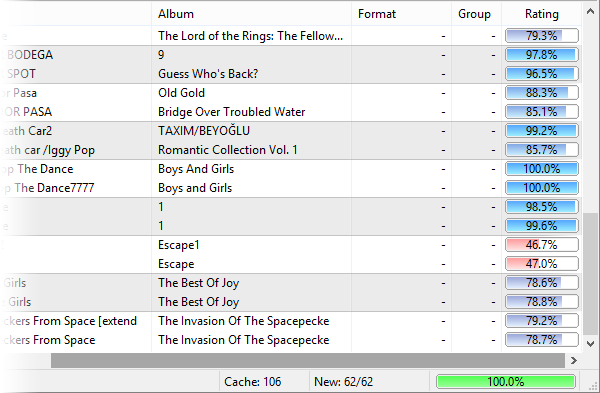 This is utterly convenient to compare your old collection with some additions of potentially new files. Also, we have turned off comparing by tags, because tags may be filled in incorrectly, or isn’t set at all. You can also disable the old content based comparison algorithm to work with huge collections. 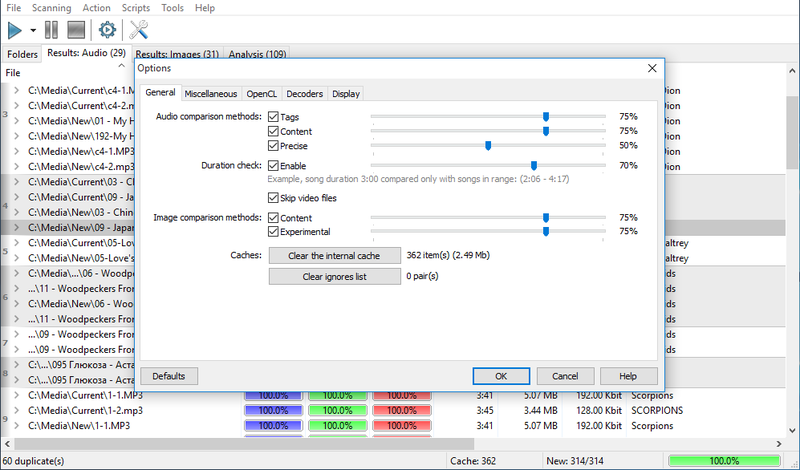 Another helpful feature is adjusting threshold values which allows setting stricter or more soft compare conditions for the files to be considered as duplicates.